Look up in the sky! Is it a bird? No, it's a set of delightful plastic canvas airplanes sure to thrill any aircraft lover. 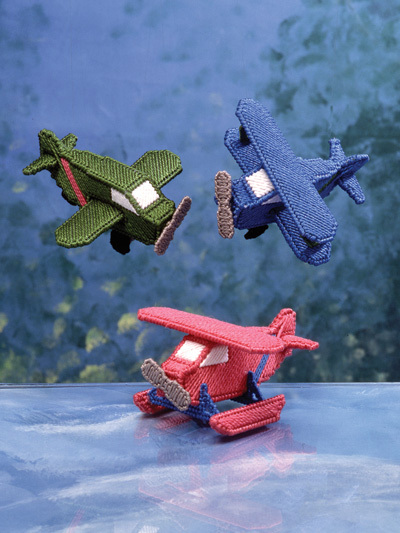 Choose from patterns for the Single Engine Plane, Biplane or Seaplane, or create the entire set for a complete display! 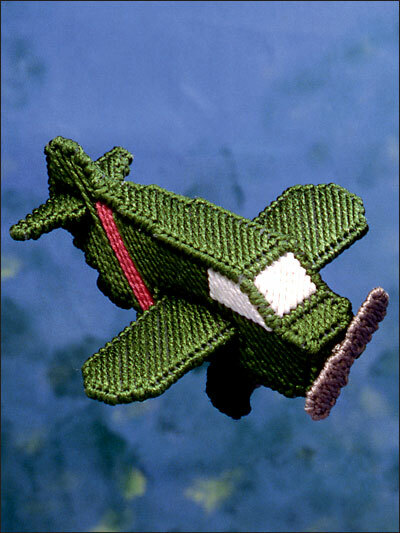 Each toy measures 6 1/4" x 6" x 4" tall and is made using 7-count plastic canvas and worsted-weight yarn. I was very disappointed with this pattern. It instructs you to glue the wings, wheels and tail fin in place. Personally, I find that unacceptable. 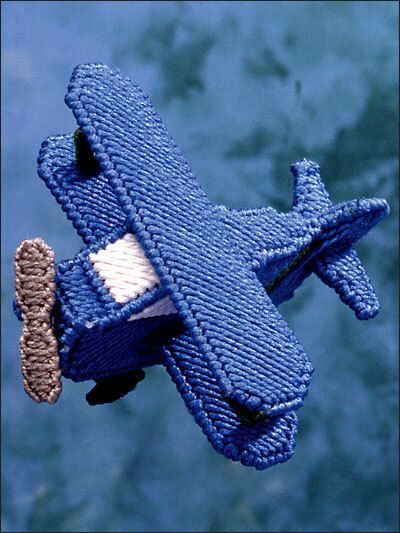 I adjusted the instructions to stitch the wings in place by leaving the bottom unattached. I sewed the wheel base to the bottom before attaching the bottom to the sides. I attached the seaplane platoon base to the bottom as the attached the base. I think that this is how the pattern should have been written. 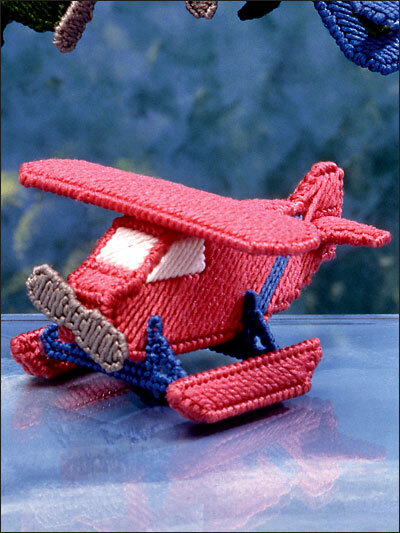 Gluing stitched items together did not seem like it would withstand active play by young children.